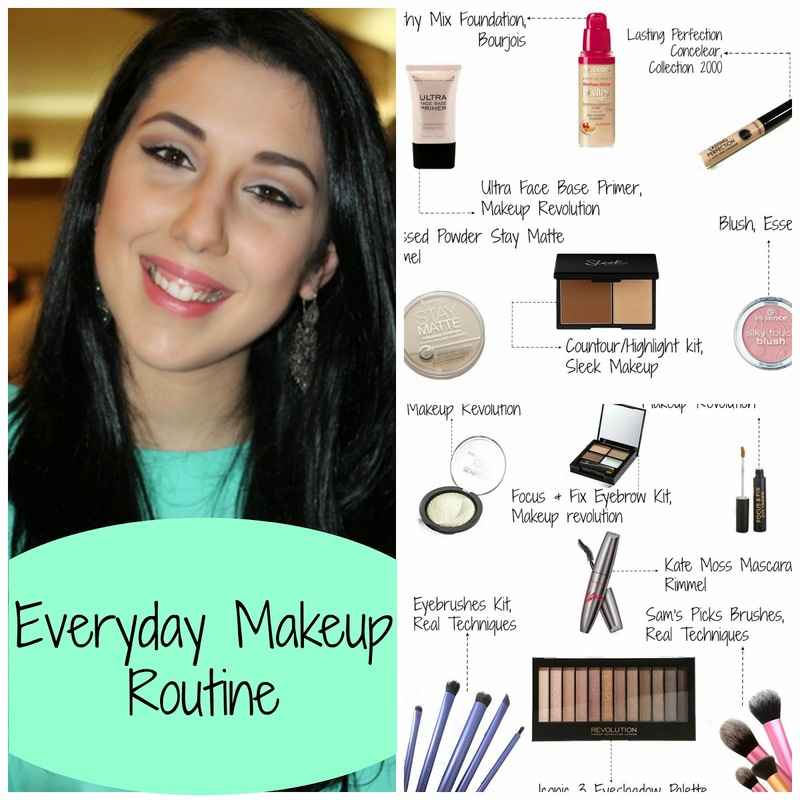 Today I came to share with you my everyday makeup routine. Nothing major or special, all drugstore makeup! First of all, I start with a clean and moisturized face. 1º – Bourjois Foundation healthy mix Shade 32, Boots £9,99 – a beautiful foundation that gives you really good coverage. 2º – Lasting perfection ultimate wear concealer, Collection 2000, shade 1 fair and 2 medium; Boots £3,99 – this concealer is the best as many of you may know. I love it! I wear shade 1 fair for my under eyes circles and the shade 2 medium for my spots and redness. Amazing! 3º – Stay Matte Long Lasting Pressed Powder Shade 001, Rimmel. Boots £3,99 – many bloggers and YouTubers love this powder and I am not any different. 4º – Face contour kit shade light, Sleek. Boots £6,49 – This contour kit was one of my best purchases. It is so good and natural. Gives you the perfect contour look that you wish. The highlighter is amazing too. 5º – Blush essence shade 10 adorable – I love this colour, I don’t know where you can get it here in the UK as I bought it in Portugal. If any of you know, just comment bellow. Anyways, it is a beautiful colour and I do need to repurchase as it is almost all gone! 6º – Vivid Bake Highlighter Golden Light, Makeup Revolution, Superdrug £3,00 – Makeup Revolution is always a good surprise. 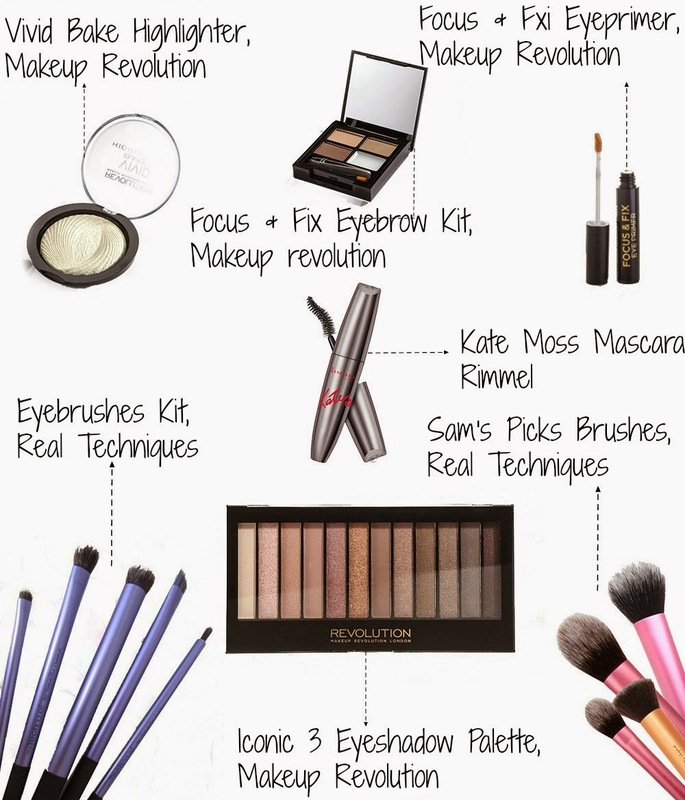 Very affordable products and such good quality! I love, love, love this highlighter! 8º – Essence Long Lasting Eyepencil in Black – I apply this to my water line and it does last all day if I apply a good amount. Probably need to get a different eyeliner, more long lasting than this one. 9º – Kate Rockin’ Curves Mascara, Rimmel. Superdrug £7,49 – This mascara was in my January Favourites and it is amazing. Check my January Favourites post for more. 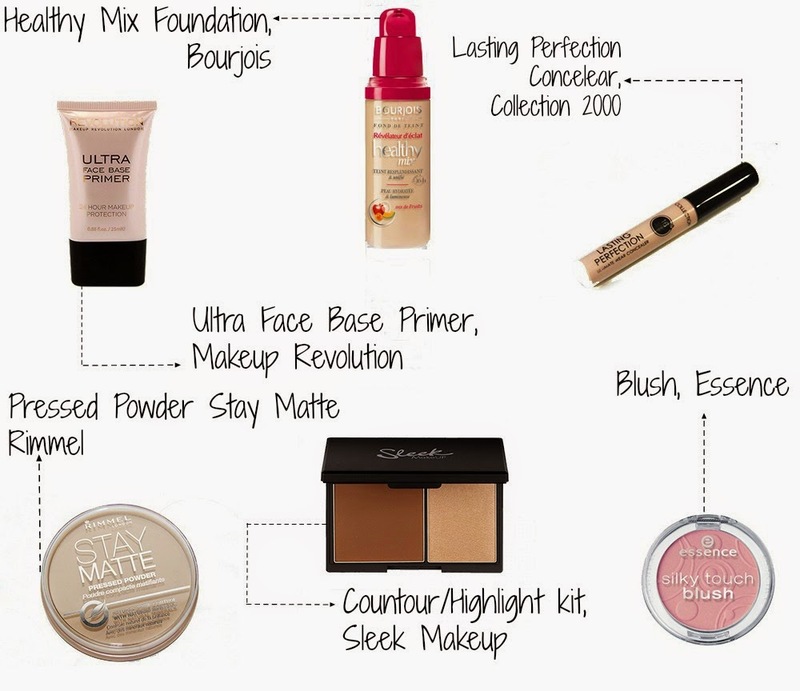 Do you wear any of these makeup products for your everyday makeup? Let me know in the comments below! Next Post Why do you blog?